Decorative, synthetic ice elements - deceptively realistic! There are no limits to your imagination with our artificial ice blocks. Create your own ice furniture from our decorative ice blocks or make ice walls that can’t melt, even at high temperatures. 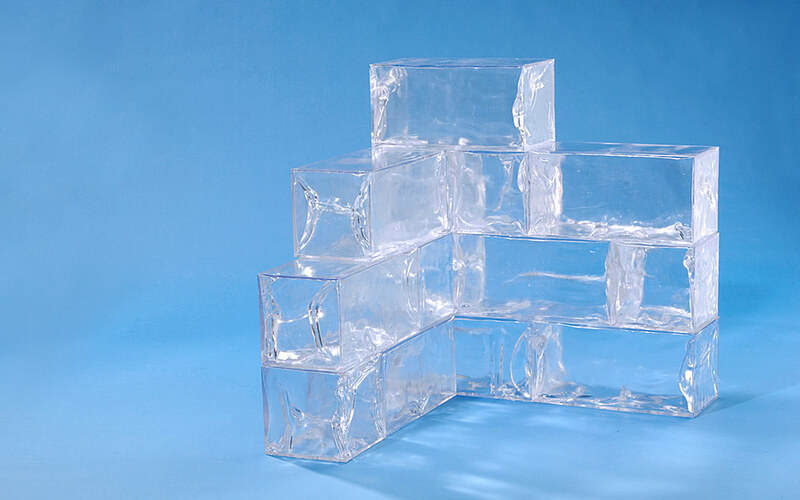 Our synthetic ice cubes are available in many varieties - rectangular or square, rounded or straight. Our ice elements can be joined together almost seamlessly with the right connection rings. Product presentation or selfie ice block, our individually made ice block is sure to attract everyone's attention!